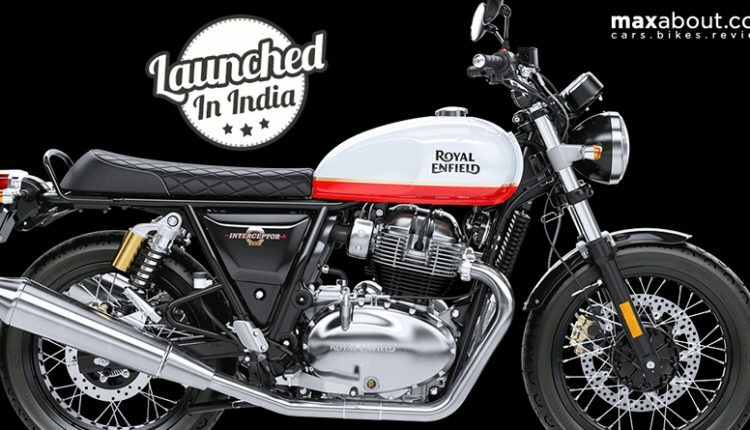 Royal Enfield Interceptor 650 has been officially launched in India with a starting price tag of INR 2.50 lakh (ex-showroom). 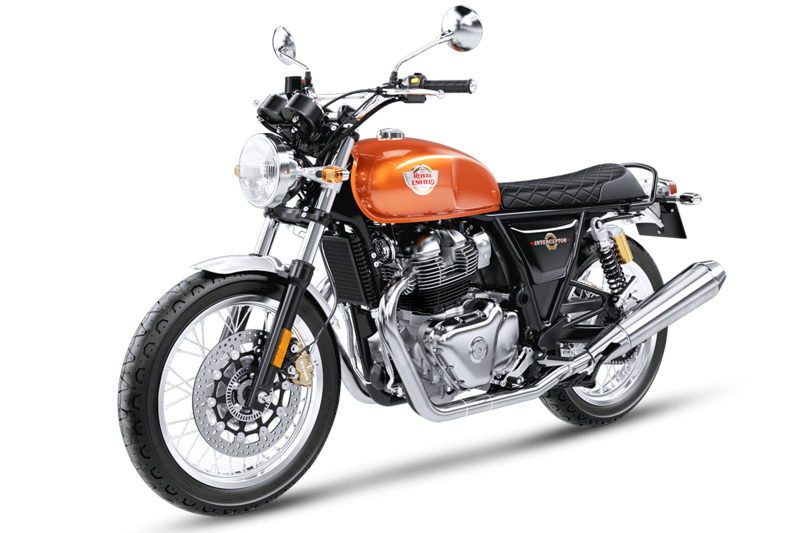 The twin-cylinder motorcycle is here to change the perception of a common man about the brand, offering them performance that was never seen before from the Bullet maker. 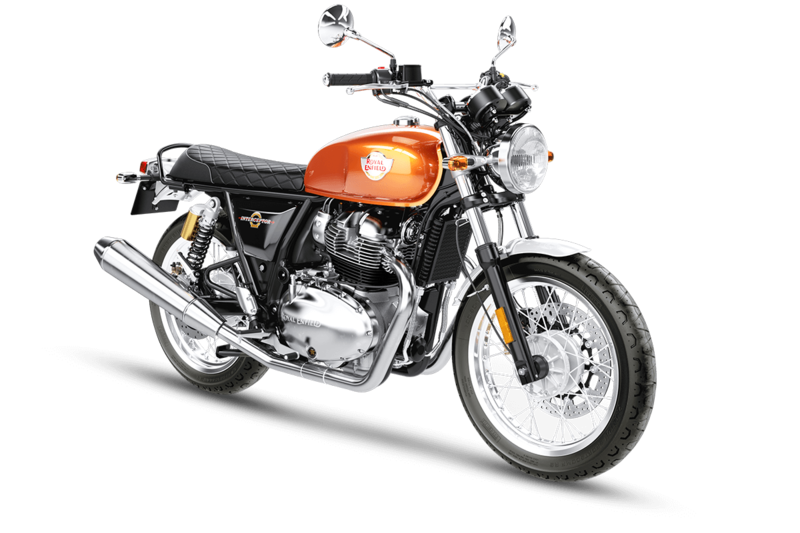 The straight seat, round headlamp and retro-modern design language of the Interceptor confirm that those planning an upgrade over Classic 350 or 500 will not need to look anywhere else in the market. 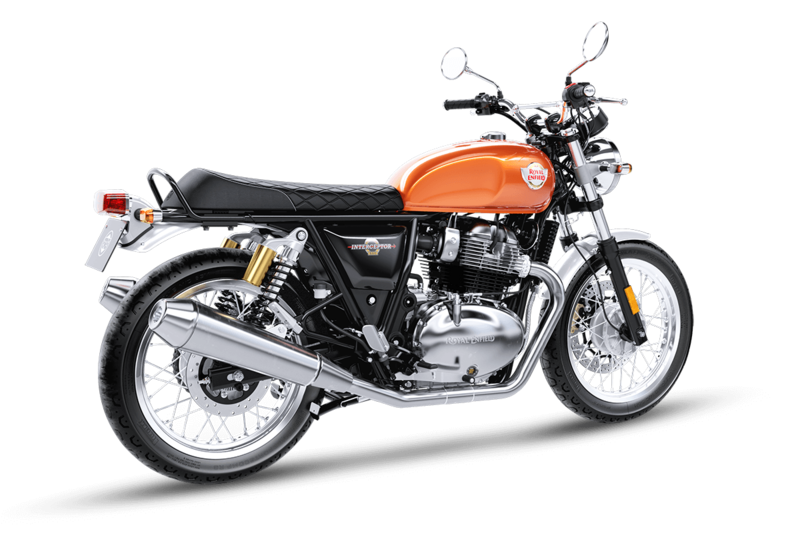 The motorcycle comes in six mouth-watering shades namely Mark Three, Orange Crush, Silver Spectre, Baker Express, Ravishing Red and Glitter & Dust. Royal Enfield Interceptor is powered by a 648cc, twin-cylinder engine, producing 47hp at 7250 rpm and 52 Nm at 5250 rpm. The engine comes with a 6-speed gearbox that supports slipper clutch for limiting the back torque effect. Out of all the values, 80% of torque available with the engine is received before 2500 rpm. 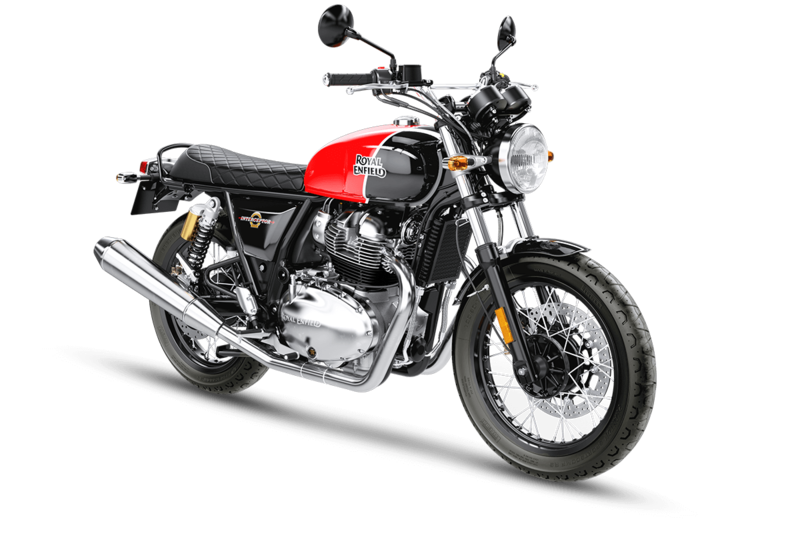 Interceptor 650 has two exhaust pipes coming out of the engine, merging beautifully with the raised twin exhaust system. Fuel injection and oil-cooling further refine the overall engine character. The front and rear wheel measures 18-inch in diameter, getting 100/90 front and 130/70 rear tire profile. The front and rear fenders are shorter than all other RE products. The front 320mm and rear 240mm ByBre discs are responsible for successful anchorage, that too with ABS as standard. Interceptor 650 comes with 41mm front forks with 110mm travel, twin rear shocks with 88mm travel and Pirelli tires for the best available grip levels. 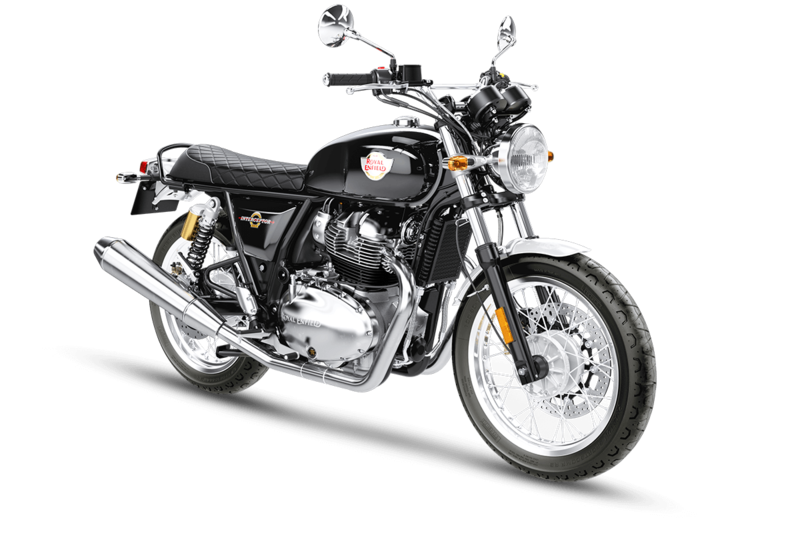 The fuel tank on the motorcycle measures 13.7-liters while ground clearance is ample at 174mm. 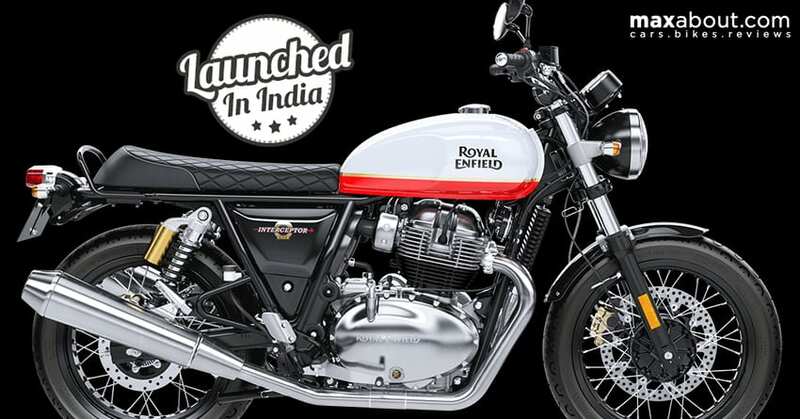 Every Indian rider will enjoy a decent 804mm of seat height with the package. The raised handlebar, along with normally placed foot-pegs ensure that stress-free rides are guaranteed, whatever the distance you need to cover.